Friday event is followed by a daylong program of entertainment, holiday market vendors and beer garden at City Park. 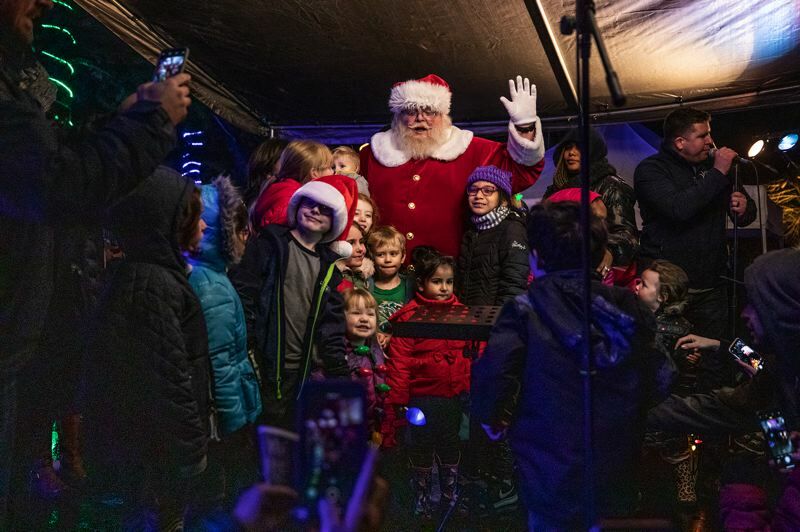 Hundreds both young and young at heart braved the cold and occasional rain, but fortified by cocoa and S'Mores, they cheered as Beaverton's community holiday tree was lit Friday night. Mayor Denny Doyle was joined by Santa Claus, who arrived via a Tualatin Valley Fire & Rescue truck, and Doyle's granddaughters Izzy Esser, 11; Annie Esser, 8 and Emerson Esser, 4, to light the tree and other decorations in Beaverton City Park. "Don't push the button until we get to zero," Doyle said in an aside to his granddaughters. "No matter how we celebrate the holidays, they are special," Doyle said beforehand, and best celebrated by families coming together. "The tree-lighting ceremony is a tradition that I hope will be around for many more years." 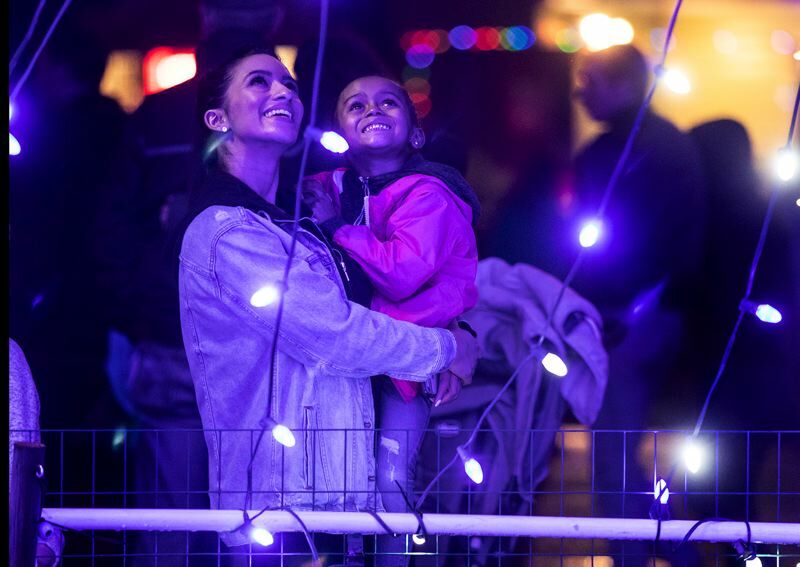 Two things were different this year: The open house preceding the ceremony took place outside the Beaverton City Library — it had been indoors — and the lighting took place at 7:30 p.m., 30 minutes later than last year's lighting. Some fretted about whether a lot of people would show up, especially parents with young children, because of the later start time and the weather. A brief squall passed by around 5 p.m., but the rain held off for the most part. "I said give them time; people are working," Doyle said afterward. 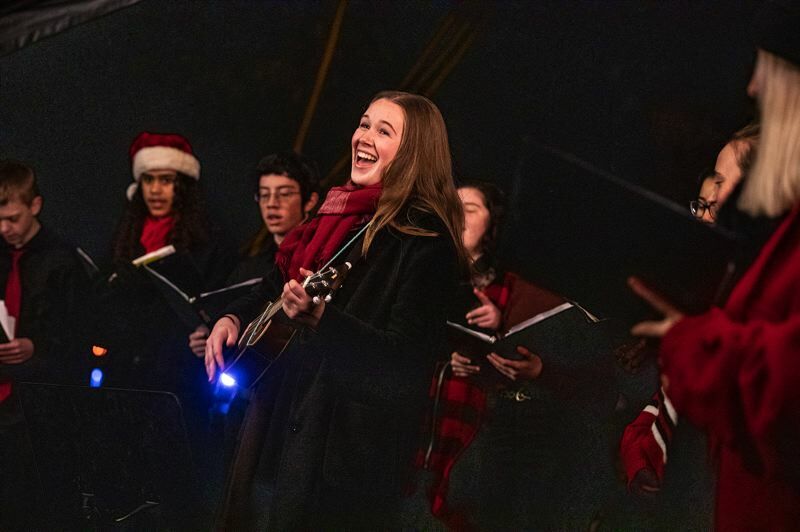 After the lighting, many retreated to the entertainment tent at the German Holiday Market to hear Synergy — among the songs performed by the Arts and Communication Magnet Academy choir were "O Tannenbaum" and "Stille Nacht," known as "O Christmas Tree" and "Silent Night" — and watch the Tirolean Dancers. Attendees also could fortify themselves with German sausages, sauerkraut and potato salad from Edelweiss Sausage and Deli and Rosenstadt Brewery beer, wine and cider. On Saturday, the German Holiday Market was in full swing with numerous performers and 32 vendors in addition to Santa Claus. Performers in addition to Synergy were choirs from the German International School and Findley Elementary School, story tellers, and the Portland band Chervona, which specializes in Russian and Eastern European music. In addition to food and wine, vendors offered handmade goods such as nutcrackers imported from Germany, and jewelry, wooden toys and other goods crafted locally. 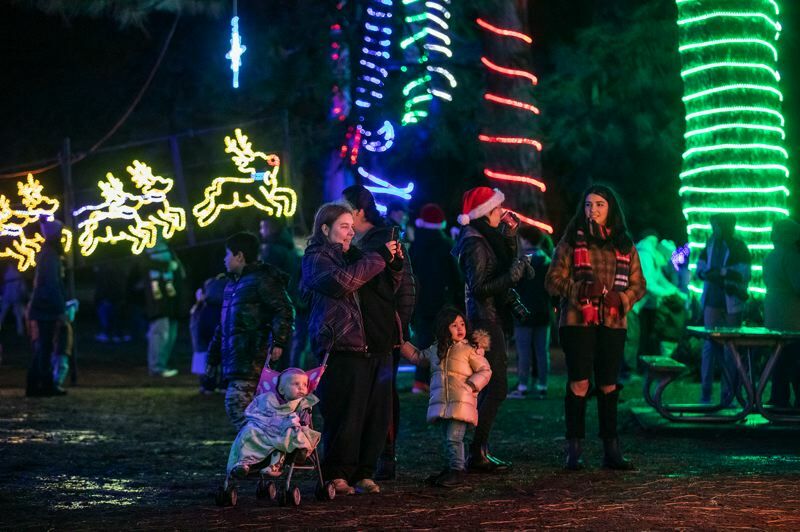 The German International School has sponsored a holiday market since 2000, and until a few years ago — when the market moved to Beaverton City Park — the vendors were at its campus at 39000 S.W. Murray Blvd. "The offer was made and they said yes," Mayor Doyle said. In 2016 the market became a second-day addition to the tree-lighting ceremony in City Park, which is near the main library. "The city wanted to add an international component in the library," said Elizabeth Gillespie, director of admissions and marketing for the German school. "It feels like it fits the community wanting to have multicultural events for the city. So we decided to pair it with the tree lighting and have something else for families to do with a cultural flair to it." "We have a great relationship with the city — and it meets a great need of providing culture for the city." Development Director Kathryn Foubister said the school enrolls about 200 students, up to grade 5, whose classes are conducted in German. The students do have English language classes, and they also learn music and sport in English.